As every year, the picturesque backdrop of the East Bohemian town of Litomyšl will this summer play host to ANOMALIA professional animation courses. It will be the jubilee 10th edition of the event, which has earned a place among the top 20 international animation schools in the world. Among those contributing to its excellence are filmmakers from famous studios such as PIXAR, LAIKA and VALVE who have worked on such films as Toy Story, Ratatouille, Inside Out, Finding Dory, Scooby Doo, Garfield, Windy Day and Buggy Night. The summer courses begin on 10 July and conclude on 8 September. The star names are a guarantee of the high quality of the programme. ANOMALIA comprises five separate courses focused on the development of stories and improvement of processes, acting and quality of animation work in character animation. The production company 3BOHEMIANS runs it in Litomyšl from July to September. Its courses provide Czech animators with the opportunity to gain fresh experience at the level of professional practice, improve their skills and boost their personal and creative growth. What’s more, participants in ANOMALIA courses markedly improve their position on the labour market both in the Czech Republic and abroad. An innovation this year will be a one-week workshop in animation for virtual reality. Keith Lango from the studio VALVE, which developed the technology VIVE, will present not only the technology and the possibilities of virtual reality but also experimentation in interactive story narration. In this way ANOMALIA is reacting to contemporary trends in the development of technology, among which VR represents a current hit while enjoying growing artistic and market impact. Keith Lango will be followed by Mark Oftedal, a PIXAR studio and animator and director of Google Spotlights Stories (GSS) short films. They have been created especially for mobile devices and thanks to 3D animation, 360-degree space and combined data from mobile sensors make the screen an interactive window into a story that takes place all around the viewer. The best-known film in the GSS series is PEARL, the first virtual reality film nominated for an Oscar. 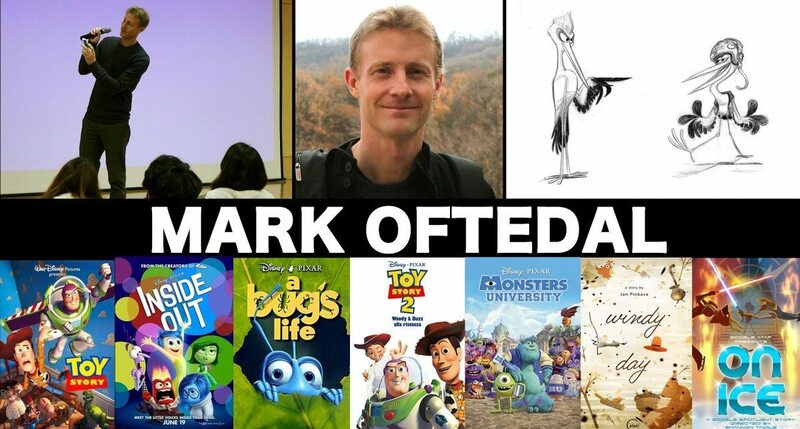 Mark Oftedal will bring to ANOMALIA his own story entitled Astronoyed in which participants will get involved in the development of animation style and acting for humorous film sequences within the same format, style and approach as shorts in the GSS series. They will in this way create their own humorous animations that will together function as an experiential short for mobile VR. GSS technological infrastructure, which the Oscar-winning director of Czech origin Jan Pinkava has contributed to, will be made available exclusively for the purposes of short film animation. At Google Pinkava leads a team of artists and experts that develop technology and films for mobile devices and this year has provided this support to ANOMALIA. “In consequence, it’s possible to say that if an Astronoyed short film is successfully executed in terms of story and technologically, it has a chance to find a place among other GSS films. 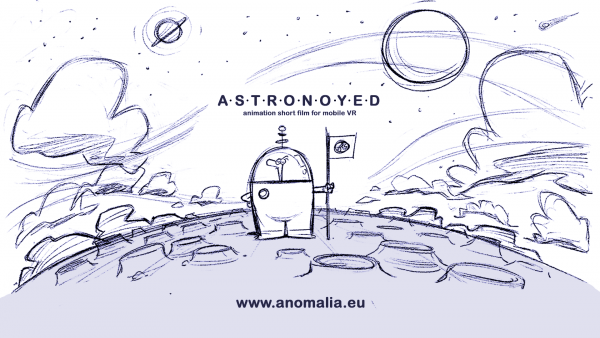 Nothing is guaranteed, but it is a wonderful opportunity and challenge that will foster a creative and dynamic atmosphere and energy during the animation work,” says ANOMALIA founder David Toušek. The ANOMALIA educational programme has won acclaim from both participants and experts in the field. Going by participants’ feedback, ANOMALIA’s courses deliver world-class quality that not only surpasses educational courses in the Central and Eastern Europe region but also compares excellently with Western courses that are inaccessible to many. Indeed, the US website Animation Career Review has ranked ANOMALIA as one of the top 20 international animation schools.